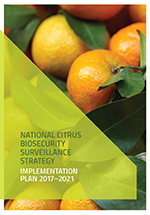 While Australia has a comprehensive biosecurity system, protecting the citrus industry from exotic pests remains a continual challenge. Effective pest surveillance maximises the likelihood of the early detection of new and emerging pests and provides data on pest distribution and pest absence to support trade. The strategy outlines improved pre-border and border risk and pathway assessment to better understand and target surveillance efforts. For post-border surveillance, it describes an enhanced partnership approach of industry, government and community in a national program. Surveillance systems will be supported by diagnostic tools and triage networks, and data collection and reporting methods will enable surveillance efforts to be captured, monitored and improved. 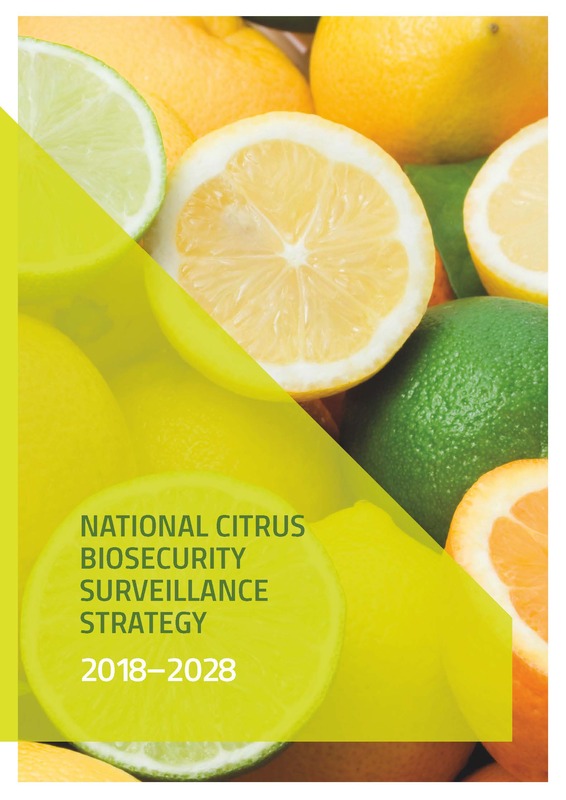 The principles of the National Citrus Biosecurity Surveillance Strategy are to maximise efficiencies of surveillance efforts by integrating and connecting surveillance amongst stakeholders. This integration will include development and use of diagnostic tools and triage networks, and surveillance which combines crop monitoring for established pests of production concern with surveillance for high priority exotic pests. Improved capture and analysis of citrus pest surveillance data.